Check your Tamilnadu 12th result 2015 date and many other latest information regarding the publication of TN Plus 2 results. TN Tamil Nadu Directorate of Government Examinations TNDGE already published the TN Tamil Nadu Board 12th High School 2014 Examination Time table. How to Get TN Tamil Nadu 12th Result 2015? Just register in our Blog with your Register Number of TN Tamil Nadu Board 12th Exam we will send you the result link to your Mail Inbox Register here Get Tn HSc Results 2015 Via Email. Many more websites will be added soon..
Anna University students can check their internal Marks for all subjects, Attendance report, assessment report via online now. In Anna University office of the Controller of Examinations web portal, students can check their Internal marks, results, Time table for semester Exams, Exam attendance and more. Internal Assessment report for Anna University Students. For what subject / Which semester we can check the Internal Marks ? At present students can check the Internal Marks for the current semester subjects (For Subjects You have written recently / going to write next after the end of semester). 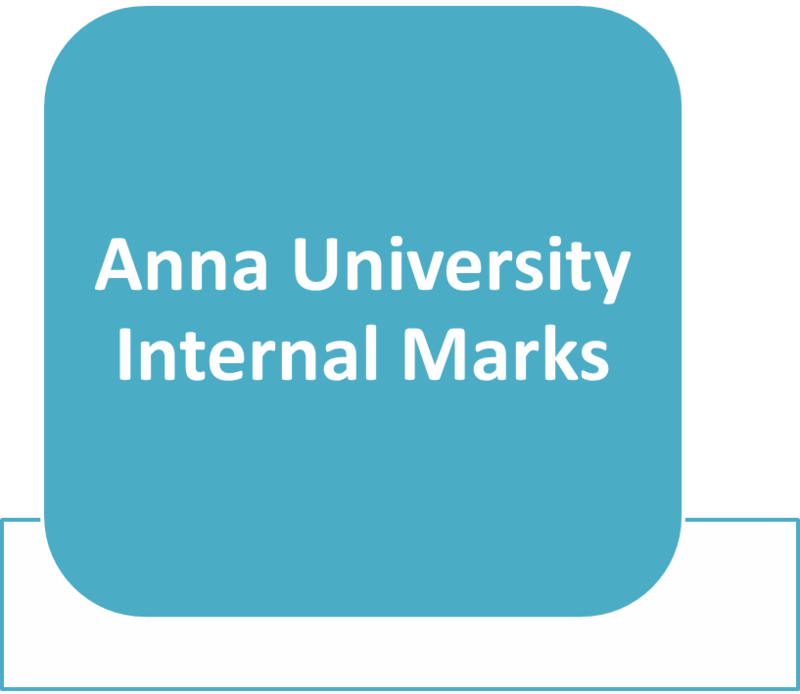 Latest Updates: Anna University July/Nov/Dec 2014 Internal Marks. 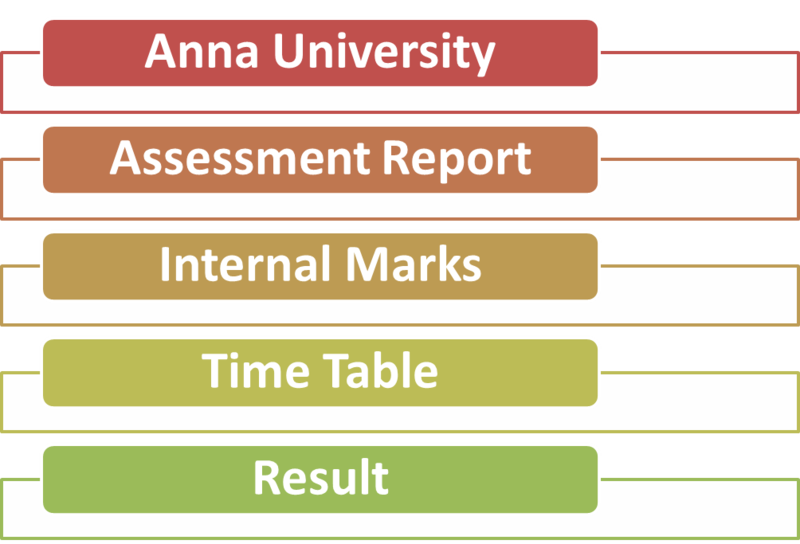 Anna University 1st, 3rd, 5th, 7th Semester Internal Marks and Results. Where we can check the Anna University Internal Marks UG/PG BE/BTech ME/MTech? Students can check their Internal Marks by following the simple steps as shown below. Step 1: Open a new tab and Enter/ copy and paste the below web address and Give Enter. 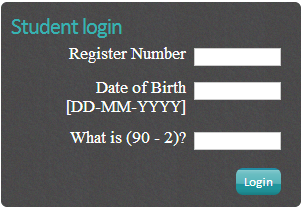 Step 2: The Coe Website of Anna University will be opened and Go to the "Student login" Section as shown below. Step 5: This Step is the toughest step of all. You have to crack a tough mathematics problem. Step 6: Click on the "Login" button. Step 7: A new page with options like Assessment Report, Attendance report, Exam Schedule(Time table), Exam results, Elective details and internal marks details will be opened. In that Select the "Internal Marks Details" option. Step 8: Some time you get the message like this. No problem you can check your Internal marks anywhere Between 6:00 PM to 7:00 AM. Students can check the Anna University Internal exam schedule, attendance report entry period in the Anna University internal Marks Assessment report period. When/Between what time we can check the Anna University Internal Marks? Students can check their Internal Marks anytime between 6:00 PM to 7 AM. The exact time of publication of Kerala DHSE results is also updated in our website.